Floyd’s Pick is a book award developed by the Choose to Read Ohio (CTRO) Advisory Council and presented in memory of children’s literature expert, advocate, and librarian Floyd Dickman. It is given annually to a book written by an Ohio author or a book illustrated by an Ohio illustrator that is representative of high-quality literature created for children. This book will be one that Floyd Dickman would have enthusiastically promoted, and is to carry on the legacy of his work to support and share children’s literature in the State of Ohio. The CTRO Advisory Council established Floyd’s Pick in December 2015 with a proclamation by Beverly Cain, State Librarian of Ohio. It was so named for Floyd Dickman’s penchant for promoting picture books and chapter books for children that he particularly loved and wanted to share by announcing them as “Floyd’s Picks”. Since then, the CTRO Advisory Council has selected one outstanding book of Ohio children’s literature annually to be designated as Floyd’s Pick. This book is in addition to the 20 titles featured in the biennial CTRO booklist. Eligible books must fit the criteria and terms below under “Selection Process”. The author or illustrator must be an Ohio native or have lived in Ohio for at least five years. Starting with the 2019 award year, up to three Floyd’s Pick Honor Books may also be named. The Floyd’s Pick seal features artwork generously contributed by Loren Long from his book Little Tree, which was the first Floyd’s Pick winner. The seal was designed by Marsha McDevitt-Stredney, Director of Marketing and Communications at the State Library of Ohio. 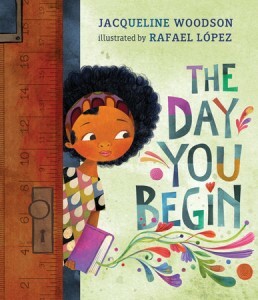 The Day You Begin by Jacqueline Woodson, illustrated by Rafael López (Nancy Paulsen Books, 2018). 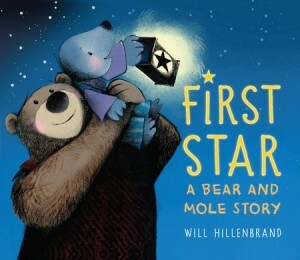 First Star: A Bear and Mole Story by Will Hillenbrand (Holiday House, 2018). 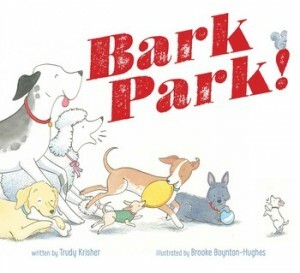 Bark Park by Trudy Krisher, illustrated by Brooke Boynton-Hughes (Beach Lane, 2018). “Come along and play with all of the dogs at Bark Park in this exuberant rhyming picture book that’s a treat for animal lovers of any age. 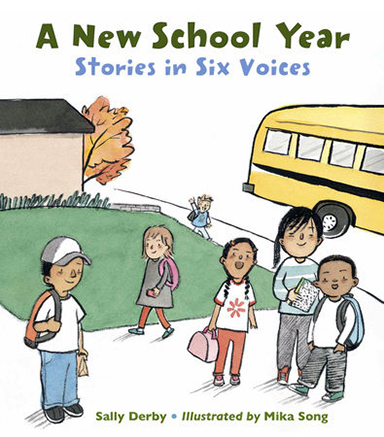 “In a unique narrative, readers meet a diverse group of six children ranging in age from Kindergarten through ﬁfth grade. With nerves and excitement each child gears up for a new school year by hustling in the morning, meeting new teachers and new classmates during the day, and heading home with homework and relief by day’s end. “A heartfelt, beautifully written novel of love, loss, and math—perfect for fans of Rebecca Stead and Sharon M. Draper. 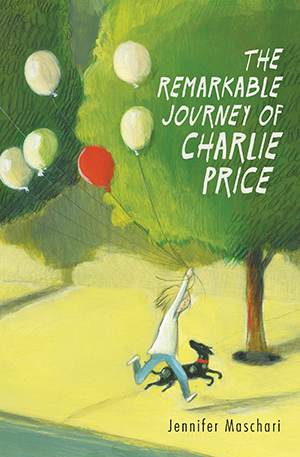 Ever since twelve-year-old Charlie Price’s mom died, he feels like his world has been split into two parts. Before included stargazing and Mathletes and Saturday scavenger hunts with his family. After means a dad who’s completely checked out, comically bad dinners, and grief group that’s anything but helpful. It seems like losing Mom meant losing everything else he loved, too. 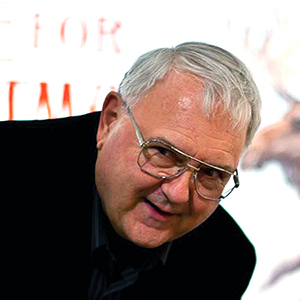 Floyd Dickman was a tireless advocate for children’s literature and librarianship. He had a tremendously positive impact on library and literacy services in Ohio and across the country. Floyd was a Library Consultant at the State Library of Ohio and retired in 1999 after 23 years of service. He is also remembered for his dedication to and enthusiasm for teaching and mentoring librarians and library science students. During his career he was awarded the Ohio Library Council Librarian of the Year award and was named Outstanding Friend by the Ohio Family Literacy Task Force. Floyd Dickman passed away in June 2015. The CTRO Advisory Council established Floyd’s Pick in December 2015 with a proclamation by Beverly Cain, State Librarian of Ohio. NOW, Therefore, BE IT PROCLAIMED, that on this day, December 8, 2015, the State Librarian of Ohio and the Choose to Read Ohio Advisory Board wish to honor and recognize Floyd’s contributions to the Ohio library community by establishing a special CTRO title selection to be known as “Floyd’s Pick”, which will be selected annually, and will represent an outstanding title in Ohio children’s literature for that year. Floyd’s Pick is an award given annually to a book written by an Ohio author or a book illustrated by an Ohio illustrator that is representative of high-quality literature created for children. This book will be one that Floyd Dickman would have enthusiastically promoted, and is to carry on the legacy of his work to support and share children’s literature in the State of Ohio. Intended audience must include children within the age range of 0-10. 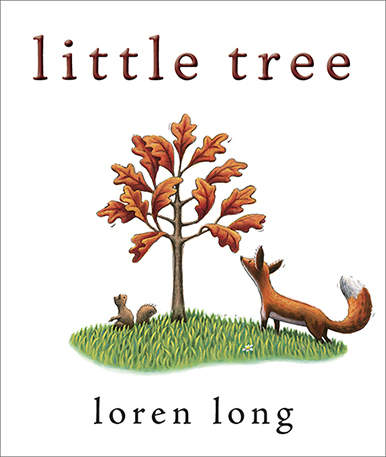 Eligible books can be intended for children anywhere in this age range. A book that also appeals to children older than 10 may be eligible, provided its intended audience includes children 10 or younger. Date of publication falls within the given timeframe for the year being considered (October 1 – September 30 prior to the award year; e.g. eligible books for 2019 are published Oct. 1, 2017 – Sept 30, 2018). One winner and up to 3 honor books may be selected. Nominations and selected titles are determined by CTRO Advisory Council Members. Titles being considered are published from October 1 of the preceding year – September 30 of the current year. For example, titles eligible for the 2020 Floyd’s Pick award are published between October 1, 2018 and September 30, 2019. Titles may be nominated at any time until October 10 of the year leading up to the award year. CTRO Advisory Council members will meet to discuss titles in late October-early November to narrow the list to finalists; they will meet again to discuss and vote on finalists in early December. Winners will be contacted in mid-December. The winner will be formally announced in early January. Floyd’s Pick is coordinated by the Choose to Read Ohio Advisory Council and administered by the State Library of Ohio and Ohioana Library. Year-round: CTRO advisory council members may nominate titles at any time. Nominations for the upcoming award year are open from October 1 of the preceding year through October 10 of the current year. For example, nominations for the 2020 award year are open from October 1, 2018 through October 10, 2019. Nominations for the 2021 award year are open from October 1, 2019 through October 10, 2020. There is a 10-day overlap in October when nominations are open for two award years. Publication date determines the award year for which a given title is eligible. Late October – early November: CTRO advisory council will meet to discuss nominated titles, narrowing the list to a smaller group of finalists. Early December: CTRO advisory council meets for final discussions and to vote for Floyd’s Pick. Mid-December: CTRO advisory council notifies winner and honorees. Ohioana Library staff prepare to invite winner and honorees to Ohioana Book Festival for award ceremony, panel, and book signing. January: Announce winner and honorees widely. April: Present awards at Ohioana Book Festival. An “Ohio author or illustrator” must be an Ohio native or an Ohio resident for at least five years (either in the present or past). Contact Janet Ingraham Dwyer, Library Consultant and CTRO project coordinator.